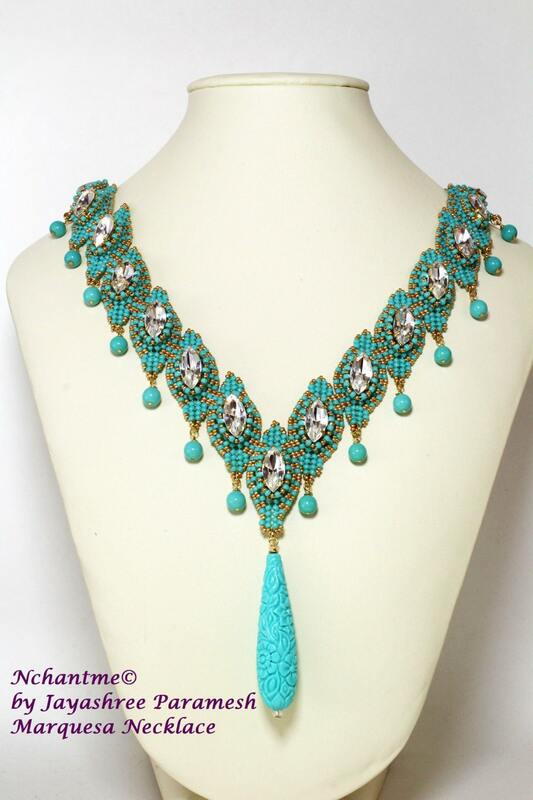 Marquesa has several marquise or navette crystals surrounded by seed beads, adding a romantic and vintage vibe to your outfit. 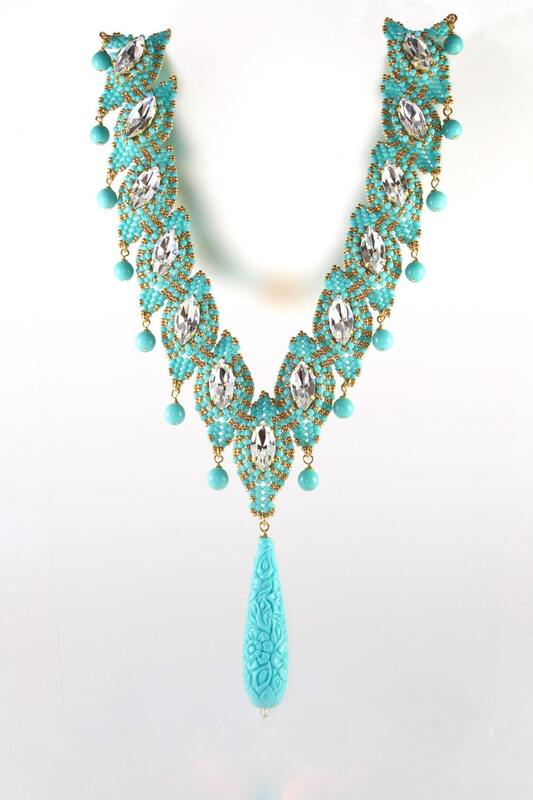 The collar of this necklace features several marquise shaped components each with a delicate bead dangle. A large carved resin bead accents the pendant detail in the center. 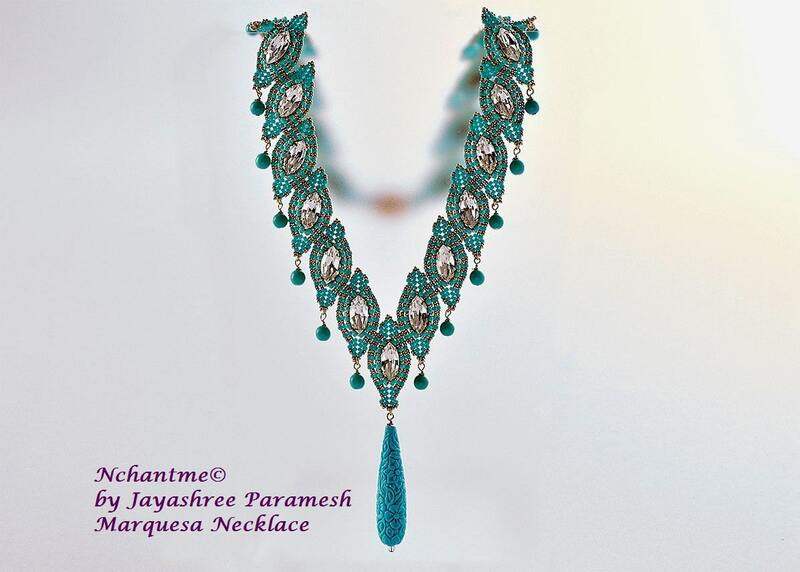 Wear it for your next glamorous occasion and turn heads in your direction! Techniques: Circular peyote, Ndebele herringbone, right angle weave, square stitch. Finished size: 24 inches long, without pendant. Pendant bead: 2” long. 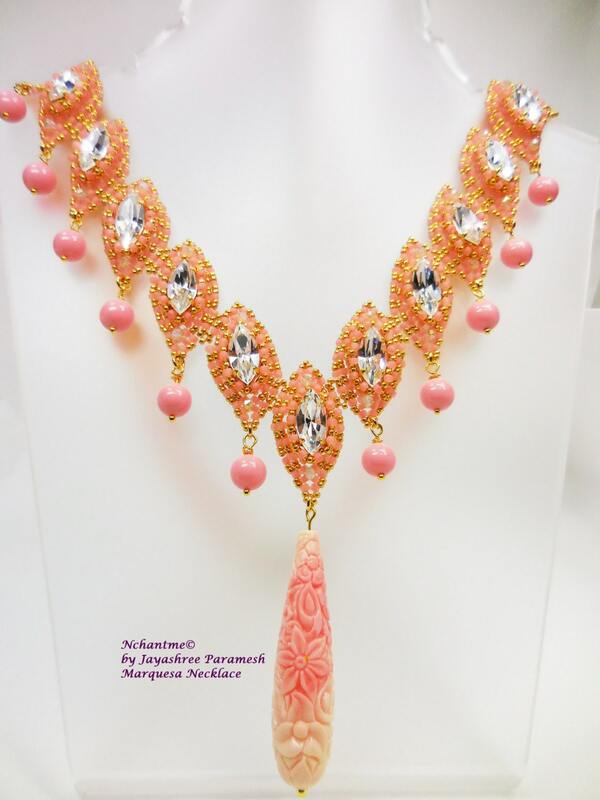 Pattern includes 48 step by step illustrations with detailed text in English to make this necklace a breeze to bead!